The Country Catalogue | Are you ready for The Glorious Twelfth? Are you ready for The Glorious Twelfth? The Glorious Twelfth is a date in the calendar which marks the start of the shooting season for red grouse in Great Britain and Northern Ireland which continues until the end of the season in December. The 12th August is usually one of the busiest days in the shooting season. The date itself comes from the current legislation Game Act 1831. Most other Game shooting begins on 1st September with Woodcock and Pheasant starting on 1st October. British law also says that the start of the season cannot fall on a Sunday, where the date is occasionally postponed to the 13th August as it did in 2001 and 2007. 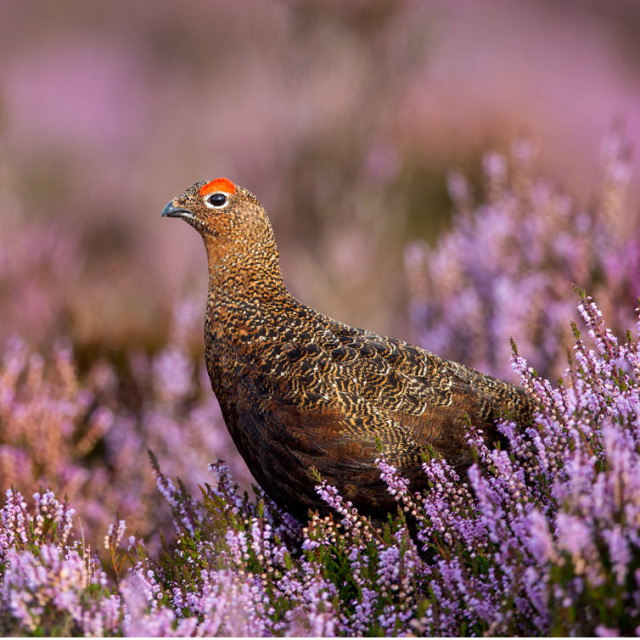 In recent years grouse numbers have naturally fluctuated due to the effects of the sheep tick and heather beetle as well as severe flooding and bad weather. The gorgeous purple hills are a result of the grouse moors which are a popular tourist destination in Scotland. They are created through effective processes such as heather-burning, bracken control along with the cotrol of grazing. If the purple moorland was not used for grouse, there is a threat that the moorland could be turnd into land for sheep grazing or forestry. Each moor has its own keepers, shepherds and maintenance staff managing it, providing local employment in the surrounding areas which would not exist if the moors were not used for grouse shooting. From the 12th onwards, the grouse season attracts a significant number of tourists who spend well in the local areas. The appropriate shooting clothing is highly important to make the most out of your days shooting, The Musto Fenland Shooting Jacket or the Musto Storm Jacket are perfect jackets for grouse shooting as they are both waterproof and windproof yet highly breathable and have features for the shooter in mind. The Musto Fenland can be folded down into its internal pocket which makes it perfect to carry around either in the car or clipped to your belt. The Musto Storm is 100% GoreTex and features an action back to provide unrestricted movement, so essential for grouse shooting. Team either of these jackets with tweed breeks from the Alan Paine Compton or Rutland range, choose a pair of shooting socks from our extensive range and you'll be ready to face the grouse moors! If the weather is good, you may just need a tweed shooting waistcoat over your shooting shirt. Hoggs Of Fife Poly/Cotton Check Shirt or Alan Paine's Ilkley Check Shirt will make a perfect addition to your grouse shooting outfit. We hope you have a great day grouse shooting!